If you want to see one of the biggest names in COUNTRY/FOLK, then you can get tickets from here. Big Noise is a very special artist and now you can book your Big Noise tickets from Ticket Luck at wonderful prices. A very versatile artist Big Noise has performed Concerts for countless fans at some of the most coveted venues around today. Almost all of them have been sold-out affairs too. Get all the information you need about more shows from this page and watch your favorite artist live in concert. Check out the tickets price to see Big Noise in Concerts in your city. However these prices will be different for different Concerts because the location, venue and the cities will all be different. If Big Noise is on tour and you plan on watching your favorite musician perform live, then you can get all the information you need about the Concerts from this page. 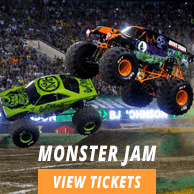 The average Big Noise tickets price will cost you between $90 and $292, if you are looking for the cheapest seats then catch the event being held at the DeJoria Center - Utah, Kamas on 02/08/2019. The average ticket will cost you the highest on 12/07/2019 at the Riverwind Casino, Norman. Minimum get in price is for Big Noise tickets is $45 for the event being held at the Chevalier Theatre, Medford on 28/09/2019 , there are some venues that have a much higher get in price, for instance the cheapest seats at the Conner Prairie Amphitheatre, Fishers on 19/07/2019 will set you back $131.